Check Anna University Results 2018 April May . 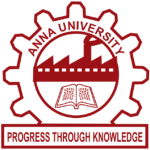 Get the latest updates about Anna University results April May 2018 without date of birth in this page. The Anna University Results April May 2018 BE B Tech B Arch ME M Tech M Arch MCA MBA both UG and PG. 2nd 4th 6th and 8th semester results for both regulation 2013 and 2017 are included. 1. When will the Anna University results 2018 April may for 8th semester be published? Answer: The Results of 8th semester will be published within one week. 2. Who all will get the result in the 8th Semester? The Students who have no Arrears till the 7th Semester will get the result first and the rest of the students will get the result after one to one and half month. 3. How to see the Results online? Answer: You can search for Anna University results 2018 april may padeepz in Google and it will bring you our website www.padeepz.com where we will provide the link to see the results of 2018 without date of birth. 4. Is there any app to see the Results? Answer: Yes anna university has launched apps to view the results in your mobile for both android and ios. 5. What is the official pages to see the Results? Answer: The coe1.annauniv.edu, annauniv.edu, aucoe.annauniv.edu are the official pages. 6. Is the paper evaluation strict? Answer: Hope so, Cause the anna university want its students to have more quality than before. 7. Can a student clear his exam by writing stories? Answer: No, atleast the answer written should be related to the question. 8. Is number of pages written in an exam helps to get high marks? Answer: Not at all, as a matter of fact it will easily helps the teacher to identify that the students is just filling the pages. It is always the quality of the answer that matters. 4 responses on "Anna University Results 2018 April May UG and PG"